Students may borrow reserve books as early as 3pm today (Feb. 26) to be returned on Saturday (Feb. 28). But the last copy will be check out tomorrow (Feb. 27) at 5:30p.m. Students are also encouraged to borrow circulation books as early as today(Feb. 26) because the Library staff will attendthe awarding ceremony of the 2009 Gawad Chanselor tomorrow (Feb. 27) at 1:30 p.m.
his book addresses how to meet the specific documentation requirements in support of the ISO 9001 software process definition, documentation, and improvement, which is an integral part of every software engineering effort. It provides a set of templates that support the documentation required for basic software project control and management. The book provides specific support for organizations that are pursuing software process improvement efforts. Author Peter Brusilovsky, Alfred Kobsa, Wolfgang Nejdl (eds.). This book is the first comprehensive presentation of the principles and tools available for programming multiprocessor machines. It is of immediate use to programmers working with the new architectures. For example, the next generation of computer game consoles will all be multiprocessor-based, and the game industry is currently struggling to understand how to address the programming challenges presented by these machines. This change in the industry is so fundamental that it is certain to require a significant response by universities, and courses on multicore programming will become a staple of computer science curriculums. The authors are well known and respected in this community and both teach and conduct research in this area. Prof. Maurice Herlihy is on the faculty of Brown University. He is the recipient of the 2003 Dijkstra Prize in distributed computing. Prof. Nir Shavit is on the faculty of Tel-Aviv University and a member of the technical staff at Sun Microsystems Laboratories. In 2004 they shared the Gödel Prize, the highest award in theoretical computer science. 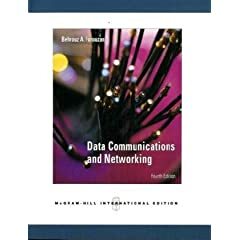 Data communications and networking, 4th ed. Whether you are a software developer, systems architect, data analyst, or business analyst, if you want to take advantage of data mining in the development of advanced analytic applications, Java Data Mining, JDM, the new standard now implemented in core DBMS and data mining/analysis software, is a key solution component. This book is the essential guide to the usage of the JDM standard interface, written by contributors to the JDM standard. The book discusses and illustrates how to solve real problems using the JDM API. The authors provide you with: data mining introduction – an overview of data mining and the problems it can address across industries; JDM’s place in strategic solutions to data mining-related problems; JDM essentials – concepts, design approach and design issues, with detailed code examples in Java; a Web Services interface to enable JDM functionality in an SOA environment; and illustration of JDM XML Schema for JDM objects; JDM in practice – the use of JDM from vendor implementations and approaches to customer applications, integration, and usage; impact of data mining on IT infrastructure; and, a how-to guide for building applications that use the JDM API.Free, downloadable KJDM source code referenced in the book is available. This book takes a unique approach to the subject by covering the ideas underlying networks, the architecture of the network elements, and the implementation of these elements in optical and VLSI technologies. Additionally, it focuses on areas not widely covered in existing books: physical transport and switching, the process and technique of building networking hardware, and new technologies being deployed in the marketplace, such as Metro Wave Division Multiplexing (MWDM), Resilient Packet Rings (RPR), Optical Ethernet, and more. Software patterns have revolutionized the way developer’s and architects think about how software is designed, built and documented. This new title in Wiley’s prestigious Series in Software Design Patterns presents proven techniques to achieve patterns for fault tolerant software. This is a key reference for experts seeking to select a technique appropriate for a given system. Readers are guided from concepts and terminology, through common principles and methods, to advanced techniques and practices in the development of software systems. References will provide access points to the key literature, including descriptions of exemplar applications of each technique. Organized into a collection of software techniques, specific techniques can be easily found with sufficient detail to allow appropriate choices for the system being designed. Security engineering : a guide to building dependable distributed systems, 2nd ed. The world has changed radically since the first edition of this book was published in 2001. Spammers, virus writers, phishermen, money launderers, and spies now trade busily with each other in a lively online criminal economy and as they specialize, they get better. In this indispensable, fully updated guide, Ross Anderson reveals how to build systems that stay dependable whether faced with error or malice. Here’s straight talk on critical topics such as technical engineering basics, types of attack, specialized protection mechanisms, security psychology, policy, and more. RF circuit design, 2nd ed. RF circuit design is now more important than ever as we find ourselves in an increasingly wireless world. Radio is the backbone of today’s wireless industry with protocols such as Bluetooth, Wi-Fi, WiMax, and ZigBee. 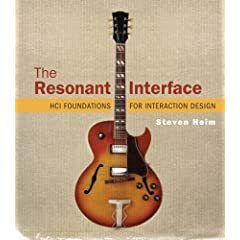 Most, if not all, mobile devices have an RF component and this book tells the reader how to design and integrate that component in a very practical fashion. 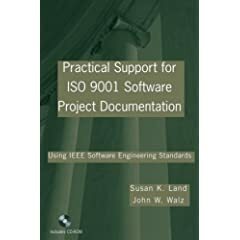 This book has been updated to include today’s integrated circuit (IC) and system-level design issues as well as keeping its classic “wire lead” material. Over the past decade, simulation has become an increasingly integral part of the electronic circuit design process. This resource is a compilation of 50 fully worked and simulated Spice circuits that electronic designers can customize for use in their own projects. Unlike traditional circuit encyclopedias Spice Circuit Handbook is unique in that it provides designers with not only the circuits to use but the techniques to simulate their customization. This book introduces algorithmic techniques in bioinformatics, emphasizing their application to solving novel problems in post-genomic molecular biology. Beginning with a thought-provoking discussion on the role of algorithms in twenty-first-century bioinformatics education, the book covers: general algorithmic techniques, algorithms and tools for genome and sequence analysis, microarray design and analysis, algorithmic issues arising in the analysis of genetic variation across human population, and algorithmic approaches in structural and systems biology. Effectively measuring the usability of any product requires choosing the right metric, applying it, and effectively using the information it reveals. “Measuring the User Experience” provides the first single source of practical information to enable usability professionals and product developers to do just that. Authors Tullis and Albert organize dozens of metrics into six categories: performance, issues-based, self-reported, web navigation, derived, and behavioral/physiological. They explore each metric, considering best methods for collecting, analyzing, and presenting the data. They provide step-by-step guidance for measuring the usability of any type of product using any type of technology. This book: presents criteria for selecting the most appropriate metric for every case; takes a product and technology neutral approach; and, presents in-depth case studies to show how organizations have successfully used the metrics and the information they revealed. Ace the IT interview : the best interviewing strategies for IT professionals, 2nd ed. Author Peyton Z. Peebles, Jr.
Guide to TCP/IP, 3rd ed. Author Laura A. Chappell and Ed Tittel. Learn the concepts, terminology, protocols and services that the Transmission Control Protocol/Internet Protocol (TCP/IP) suite uses to make the Internet work! This book clearly displays and demonstrates TCP/IP capabilities while encouraging readers to interact with the protocols as well as to read and learn about them. It provides both the knowledge and tools would-be network administrators and analysts need to understand what’s happening on their networks, and to appreciate that behavior from the perspectives of traffic analysis and characterization, error detection and troubleshooting, security analysis and remedial action, and more. Discrete Signals and Inverse Problems is essential reading for experimental researchers and practicing engineers in civil, mechanical and electrical engineering, non-destructive testing and instrumentation. This book is also an excellent reference for advanced undergraduate students and graduate students in engineering and science. Information technology security & risk management, 3rd ed. 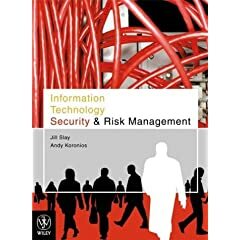 “IT Security and Risk Management” is an original textbook written for undergraduate subjects on IT and e-business security, usually offered under a MIS, IT or eBusiness degree program. The text addresses the business implications and requirements of security rather than presenting a technical, programming approach that is generally aligned to studying computer science. This new text address security technology and systems, issues associated with risk minimization and management when implementing security systems, legal and regulatory requirements, basic Cryptography and Public Key Infrastructure, ethics, forensics and fraud, and the intrinsic relationship between business strategy and security systems, such as electronic payment systems, supply chain management and internal/external firewalls. Object-oriented design using Java, Int’l ed. The primary strength of “Object-Oriented Design Using Java” is that it has one of the best presentations of problem solving using patterns available. It has received rave reviews from instructors, and has been class tested at a number of schools where the response from both professors and students has been extremely positive. 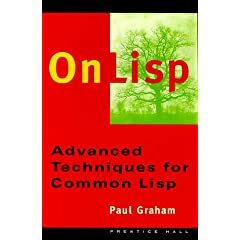 This book is intended for the object-oriented programming design course where UML is used extensively for design and notation. It has been especially designed to be accessible to students and is full of real-world examples, case studies, and other aids to assist student understanding. Oracle Applications DBA covers all the pertinent aspects of administrating Oracle Applications – from installation to day-to-day maintenance. It covers upgrading, cloning, patching, maintenance and troubleshooting of the application system. Embellished with over 350 screenshots and illustrations, it helps in administrating complex Oracle Database in an easy-to-navigate format. To help readers manage Oracle Applications without much difficulty, a comprehensive discussion on upgrading Oracle Applications in Unix environment has been provided. Further the book includes a balanced coverage of Oracle 11i and R12 – making it a must-have for experienced Oracle Aplications DBAs. Professionals who are keen to migrate from DBA to Apps DBA profile would also find the book useful. i need. i value. lLOVEMYLIBRARY t-shirts and pins are now available! “i need. i value. I LOVE MY LIBRARY” is a simple library awareness campaign which promotes the library users (faculty, students and staff) responsibility in the care, upkeep and maintenance of the library materials, facilities and equipment. The campaign outlines 10 Simple Ways to care and love your Library. We believe that the best people who would take care of the Library are the users themselves. A reading for Sir Eric Tambasacan’s class is now available at the Reserve Section. Please ask the librarian for assistance. Thank you. Introduction to wireless and mobile systems, 2nd ed. This text explains the general principles of how wireless systems work, how mobility is supported, what is the underlying infrastructure and what interactions are needed among different functional components. Designed as a textbook appropriate for undergraduate or graduate courses in Computer Science, Electrical Engineering, and Electrical and Computer Engineering, it focuses on qualitative descriptions and the realistic explanations of relationships between wireless systems and performance parameters. Rather than offering a thorough history behind the development of wireless technologies or an exhaustive list of work being carried out, the authors help EE and CSE students learn this exciting technology through relevant examples such as understanding how a cell phone starts working as soon as they get out of an airplane. Fundamentals of Digital Logic with VHDL Design” teaches the basic design techniques for logic circuits. It emphasizes the synthesis of circuits and explains how circuits are implemented in real chips. Fundamental concepts are illustrated by using small examples, which are easy to understand. Then, a modular approach is used to show how larger circuits are designed. VHDL is used to demonstrate how the basic building blocks and larger systems are defined in a hardware description language, producing designs that can be implemented with modern CAD tools. This book emphasizes CAD through the use of Altera’s Quartus II CAD software, a state-of-the-art digital circuit design package. This software produces automatic mapping of designs written in VHDL into Field Programmable Gate Arrays (FPGAs) and Complex Programmable Logic Devices (CPLDs). Bridging the gap between Digital Signal Processing theory and design, this implementation-oriented textbook is based on the authors’ extensive experience in teaching graduate and undergraduate courses on the subject. 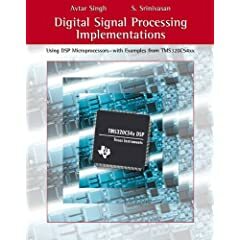 The objective of the book is to help students understand the architecture, programming, and interfacing of commercially available programmable DSP devices, and to effectively use them in system implementations. Throughout the book, the authors utilize a popular family of DSP devices, viz., TMS320C54xx from Texas Instruments. In the end, students will be comfortable in using both hardware and software for designing with the programmable DSP devices. Captivate your students – and entice new students to the electrical engineering major – with Roman Kuc’s illuminating look at how commonplace information systems, like infra-red auto-focus cameras, compact disc systems, bar codes, credit and smart cards work, and how clever engineering solutions are used to solve technical problems. Designed for readers with no science background, the book introduces them to the thought processes used by electrical engineers to think quantitatively and then design useful systems. 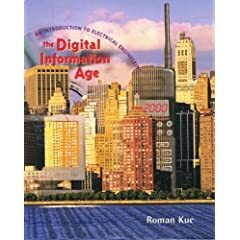 As a result, readers not only learn the facts behind information and transmission, coding and storage, but how these systems came to be developed in response to a shift of information to a digital medium. Unlike traditional science texts that begin with theory and then illustrate that theory with applications, this book starts with practical, real-world systems and then presents the physical theory and mathematical analysis required to understand their operation. This brief paperbound supplement provides 16 hands-on laboratory experiments that students can perform using MATLAB® in lab sections that accompany lecture courses in Linear Systems or DSP. The 16 experiments are grouped in four main topic areas: sampling and digital-to-analog (D/A) conversion; the discrete-time Fourier transform; gain and phase-shift studies of digital filters; and analog-to-digital (A/D) quantization. (See TOC below for a listing of specific lab experiments.) The goal of these experiments is to enable students to understand the full physical significance of key concepts through a deeper understanding of the underlying mathematical formulas – not to teach MATLAB®. In each experiment, students enter problem parameter values, plot the results using MATLAB®’s powerful plotting functions, and then respond to questions in the manual that require them to analyze and interpret these results. The experiments challenge students to approach the study of these topics in the role of an experimental investigator; students are required to define the quantitative values and size properties of each design criterion in a problem. As a result, students develop an appreciation of the physical meaning of the derived results, their theoretical and physical implications, and the use of the scientific method. “Now in its fifth edition, John C. Russ’s monumental image processing reference is an even more complete, modern, and hands-on tool than ever before. The Image Processing Handbook, Fifth Edition is fully updated and expanded to reflect the latest developments in the field. A companion CD-ROM to this edition is available and includes more than 200 images along with a set of Photoshop®-compatible plug-ins that implement many of the algorithms described in the book (for more information, visit www.reindeergraphics.com). Written by an expert with unequalled experience and authority, it offers clear guidance on how to create, select, and use the most appropriate algorithms for a specific application. 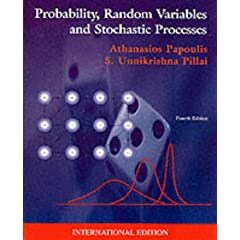 Probability, random variables, and stochastic processes, 4th ed. Changes to the fourth edition include: substantial updating of chapters 3 and 4; a new section on Parameter Estimation in chapter 8; a new section on Random Walks in chapter 10; and two new chapters (15 and 16) at the end of the book on Markov Chains and Queuing Theory.A number of examples have been added to support the key topics, and the design of the book has been updated to allow the reader to easily locate the examples and theorems.www.mhhe.com/papoulis — The book’s website will include a downloadable version of the solutions manual for instructors only, 200 PowerPoint slides with additional material for the reader, and a link to the author’s own website. Modern operating systems, 3rd ed. The widely anticipated revision of this worldwide best-seller incorporates the latest developments in operating systems (OS)technologies. The Third Edition includes up-to-date materials on relevant OS such as Linux, Windows, and embedded real-time and multimedia systems. Tanenbaum also provides information on current research based on his experience as an operating systems researcher. * Online Exercises – Provide hands-on experience with building as well as analyzing the performance of OS. In particular, these exercises have been designed to provide experience with analyzing the resource consumptions in Windows and Linux. * Simulation Exercises – Designed to provide experience with building some key components of an OS, including process scheduling, main memory allocation, paging algorithms and virtual memory, and file systems. * GOAL: Prentice Hall’s premier online homework and assessment system for Java Programming, OS, and Database Systems courses in Computer Science. Pocket book of technical writing for engineers and scientists,3rd, Int’l ed. The focus of this text is to teach engineering students the skill of technical writing. It takes a project oriented approach and covers writing functions that are of particular use to the engineering student. This book is part of the B.E.S.T. Series. Discover the benefits of applying algorithms to solve scientific, engineering, and practical problems. Providing a combination of theory, algorithms, and simulations, Handbook of Applied Algorithms presents an all-encompassing treatment of applying algorithms and discrete mathematics to practical problems in “hot” application areas, such as computational biology, computational chemistry, wireless networks, and computer vision. Complete with exercises for readers to measure their comprehension of the material presented, Handbook of Applied Algorithms is a much-needed resource for researchers, practitioners, and students within computer science, life science, and engineering. Nonlinear programming : theory and algorithms, 3rd ed. Nonlinear Programming: Theory and Algorithms-now in an extensively updated Third Edition- addresses the problem of optimizing an objective function in the presence of equality and inequality constraints. Many realistic problems cannot be adequately represented as a linear program owing to the nature of the nonlinearity of the objective function and/or the nonlinearity of any constraints. The Third Edition begins with a general introduction to nonlinear programming with illustrative examples and guidelines for model construction. The compiler design handbook : optimizations and machine code generation, 2nd ed. Today’s embedded devices and sensor networks are becoming more and more sophisticated, requiring more efficient and highly flexible compilers. Engineers are discovering that many of the compilers in use today are ill-suited to meet the demands of more advanced computer architectures. VLSI circuits are ubiquitous in the modern world, and designing them efficiently is becoming increasingly challenging with the dvelopment of ever smaller chips. This practically oriented textbook covers the important aspects of VLSI design using a top-down approach, reflecting the way digital circuits are actually designed. Using practical hints and tips, case studies and checklists, this comprehensive guide to how and when to design VLSI circuits, covers the advances, challenges and past mistakes in design, acting as an introduction to graduate students and a reference for practising electronic engineers. Principles of electronic communication systems, 3rd ed. Developed by well-known electronics author Louis Frenzel, Principles of Electronic Communication Systems offers the most up-to-date coverage of the rapidly changing communications field. Appropriate for use in a one- or two-semester course, this text offers everything needed to prepare students to work in the increasingly complex communications industry of the 21st century. –This text refers to an out of print or unavailable edition of this title. 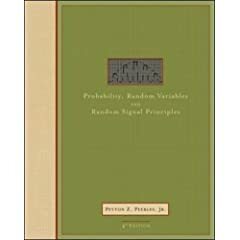 Probability, random variables, and random signal principles, 4th ed. The fourth edition of “Probability, Random Variables and Random Signal Principles” continues the success of previous editions with its concise introduction to probability theory for the junior-senior level course in electrical engineering. The book offers a careful, logical organization which stresses fundamentals and includes almost 900 student exercises and abundant practical applications for engineers to understand probability concepts. 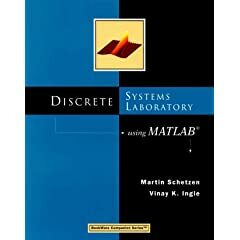 The most important new material in this edition relates to discrete-time random processes and sequences, and other topics in the general area of digital signal processing, such as the DT linear system.